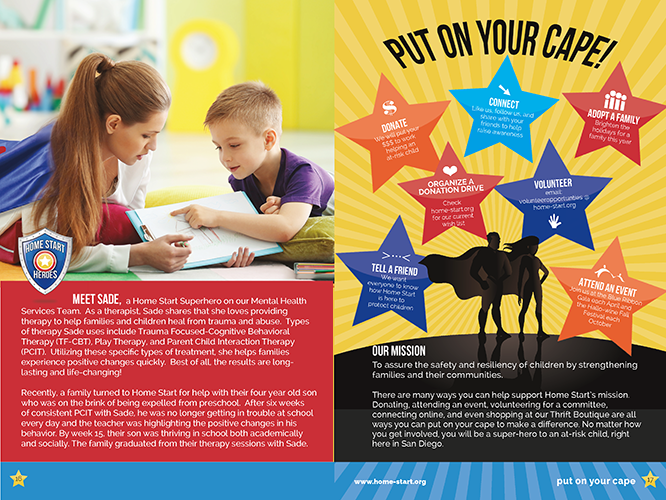 DESIGN CHALLENGE: Develop a fresh theme and annual report design to tackle the tough topic of child abuse and refocus the audience to the organization’s mission; ensuring each and every child in San Diego has access to the hope and joy they deserve. 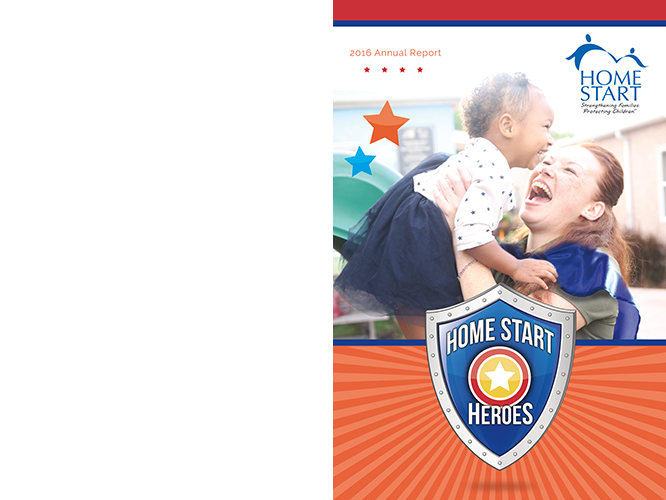 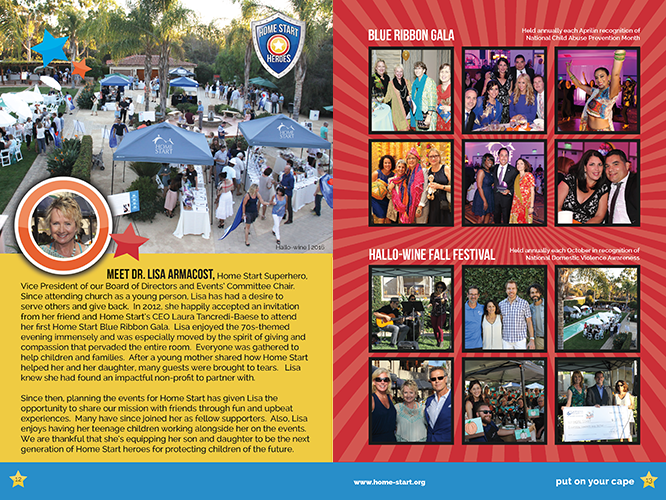 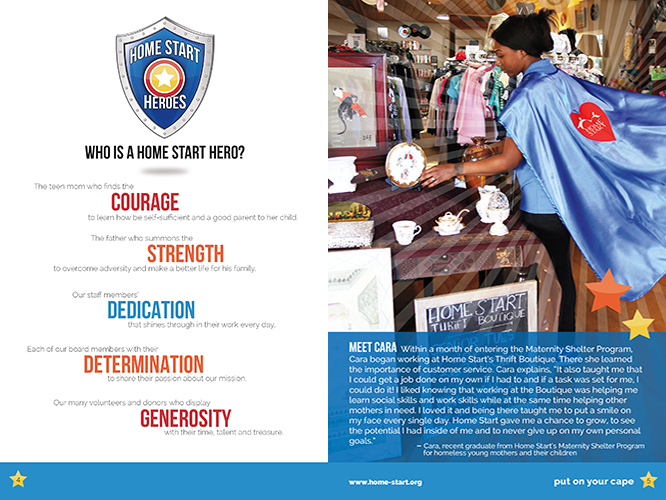 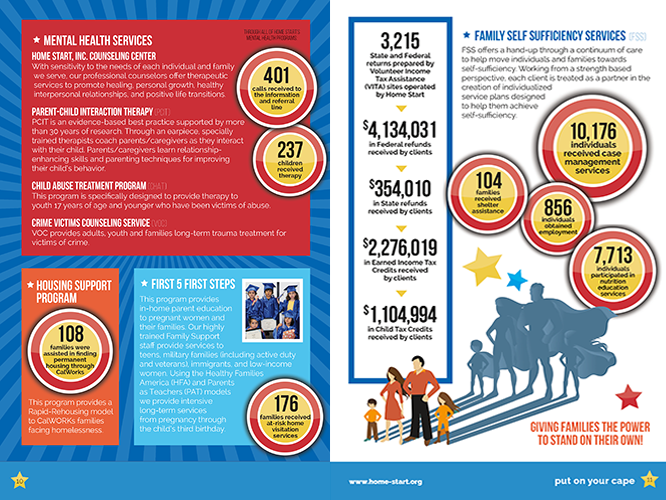 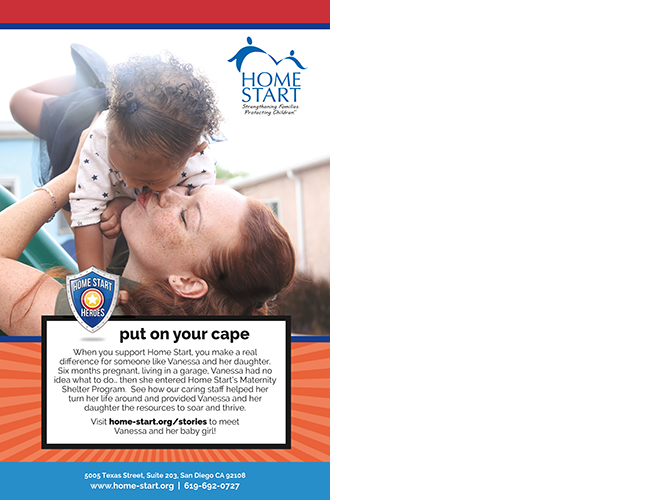 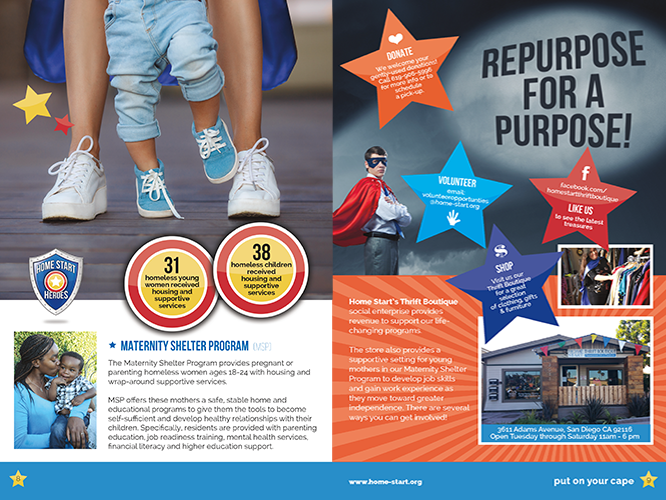 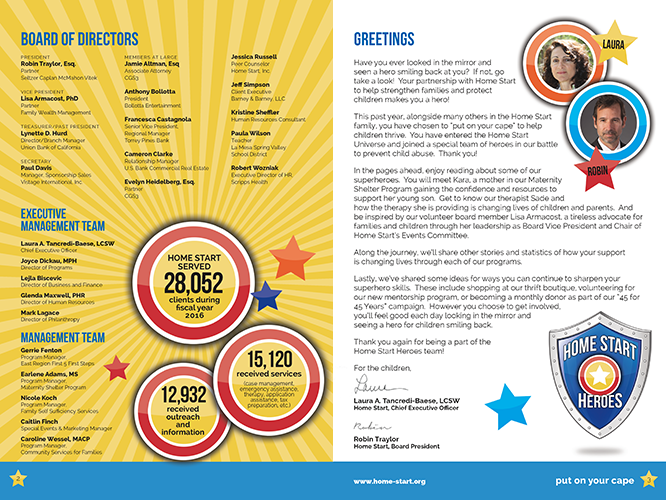 The concept for this year’s report was designed to illustrate that whether you are a parent, a volunteer, donor or a staff member — you can be a hero to a child in need. 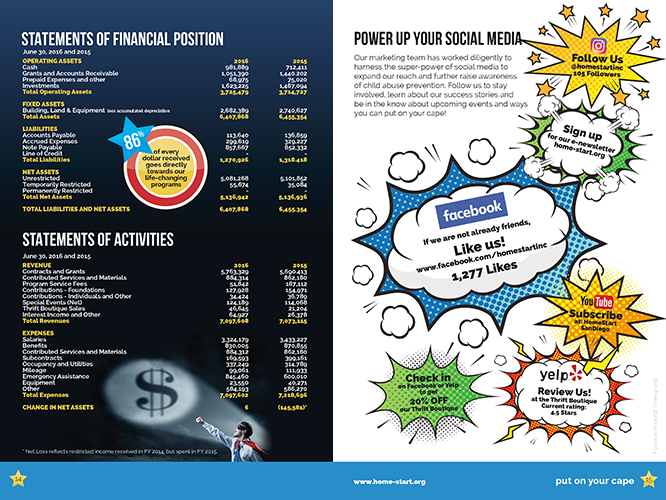 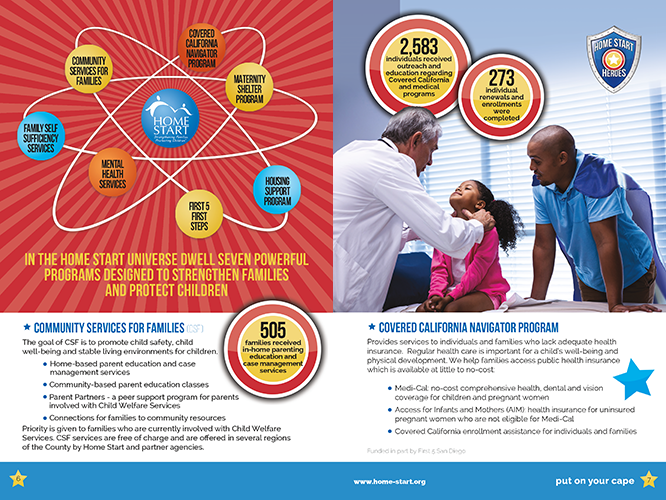 ELEMENTS: 20-page printed annual report, plus interactive electronic pdf and explainer video.